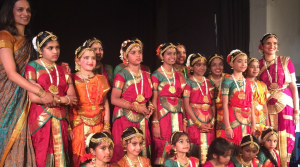 Sai Mayur Bharatanatyam Dance School is an Indian classical dance school based in Chester. Mrs Usha Rao started this school in June 2013 with 5 students and it has now grown to 40 students. The classes are held in Caldy valley community centre, Chester.